Sarah Watts and Antony Clare founded SCAW in 2003. They have performed all over the UK and were guest artists at the World Bass Clarinet Convention in Holland. They have had many pieces written for them and given many UK and World Premieres. In 2009, the duo released their debut CD - SCAWFELL - on the clarinet classics label and they also hold an annual bass clarinet course on the Scottish Isle of Raasay. 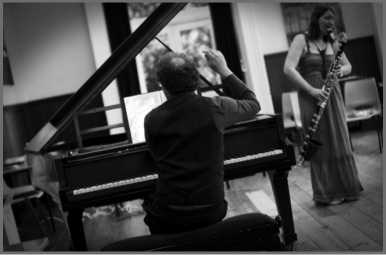 The Hard Rain SoloistEnsemble is a contemporary music group from Belfast devoted to the performance of modern and contemporary music. rarescale was formed in 2003 to promote the alto flute and it’s repertoire. Sarah performs in various combinations with rarescale including clarinets/flutes and the quartet combination of alto flute, bass clarinet, cor anglais and electronics. 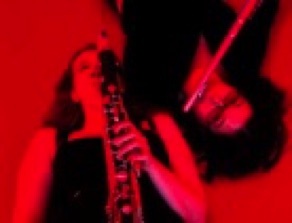 Carla Rees - alto flute, Paul Goodey - cor anglais, Michael Oliva - electronics.